The current cloud computing panorama includes many cloud providers, each with their own model, set of services and Application Programming Interfaces (APIs), leaving users with an interoperability problem when trying to avoid a potential dependency on a specific provider. Current approaches tend to tackle this problem (user to cloud or cloud to cloud) by abstracting it, either by providing a common set of APIs, which have to map onto each cloud’s APIs, or by introducing brokers that adapt the views of the user and of the cloud. 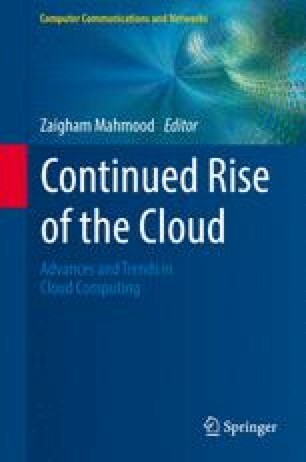 This chapter proposes another approach that tries to solve the problem at its source, by defining a common service and resource model, a small set of common services (core API), an interoperability mechanism based on compliance and conformance and an extensibility mechanism that allows providers to build different clouds, based on this core and with support for interoperability. The chapter also presents an interoperability framework with three dimensions—lifecycle of services, levels of abstraction in interoperability and concerns, entailing aspects, such as security, quality of service, Service Level Agreement (SLA) and financial aspects. The main goal is not to provide an interoperability solution to existing systems but rather to establish a foundation layer for cloud computing that shows how clouds should be organized to cater for provider differentiation while supporting interoperability from scratch.